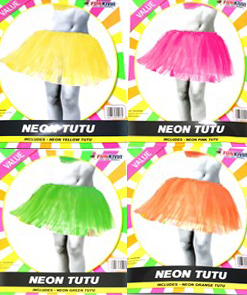 Adult sized neon tutu skirt. Available in neon green, orange, pink and yellow. 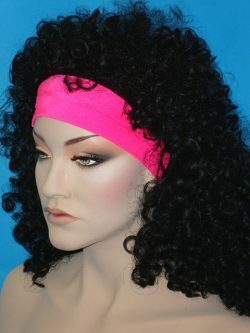 Add some other fun neon beads, glasses, hosiery and belts to create your own 80’s look. Opaque nylon thigh highs in neon pink. 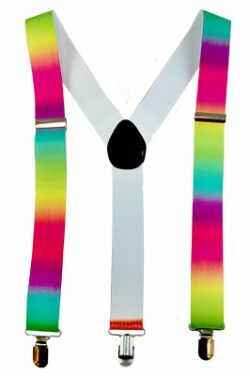 Don’t you just love these braces? Neon rainbow coloured!